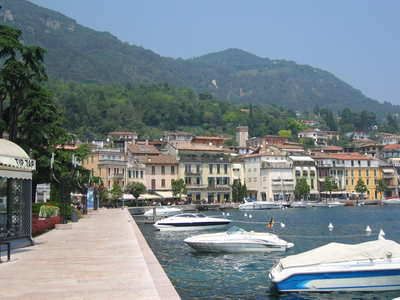 "Salo has a beautiful lakeside promenade and is definitely worth seeing"
This is an elegant and good sized town, stretching along the north side of the bay, and located below Gardone. 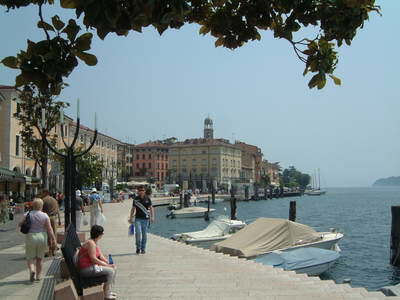 This quite long and narrow bay gives Salo a different aspect from a lot of towns, as you mainly look across this narrow bay rather than across the main part of the lake garda. It has good ferry links and therefore it's easy to get a boat to most parts of the lake from here. The long and beautifully kept lakeside promenade is definitely one of, if not, the best on the whole lake. 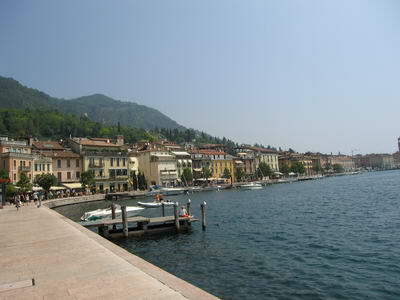 The buildings here are also very classical and the whole lakeside area is extremely attractive. Definitely a great place for a nice lakeside wander, and it's away from traffic too, so is nice and quiet! The roads in the town centre can get pretty busy, and the main lakeside road gets backed up quite a bit. Parking in the town centre can be very hard to find, so if you don't mind a little walk, we found a large, free car park to the west side of town. Like a few towns here, it has a one way system, so watch out that you don't go past where you need to go, or you may have to do a long loop round (we've had to do this several times!). There are some nice shops and a good selection of places to eat at here too. On the edge of town, heading towards the south part of the bay, there is a small shingle beach that offers a lovely view of the town and the mountains behind. 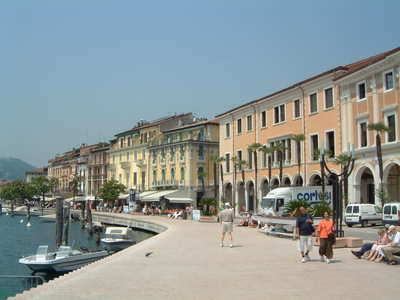 Salo is indeed a very nice town and is sure to impress most people!